Luxury brand watch seekers in Doylestown, Maple Glen and Ambler may be looking for a luxury brand watch retailer in the Willow Grove area from which to purchase a new watch. Precision Watches & Jewelry in the Willow Grove Park Mall is the luxury watch retailer to visit, as this company offers exceptional products with top-notch customer service every step of the way. As for Doylestown Hamilton watch seekers and Ambler residents searching for Hamilton watches, going to Precision Watches & Jewelry for your next watch purchase is an extremely wise idea as this company is an authorized retailer of Hamilton watches. Read on to learn about Hamilton luxury brand watches to discover why you should purchase this exquisite brand of watch, as well as determine how Precision Watches & Jewelry can help you with your important purchase. 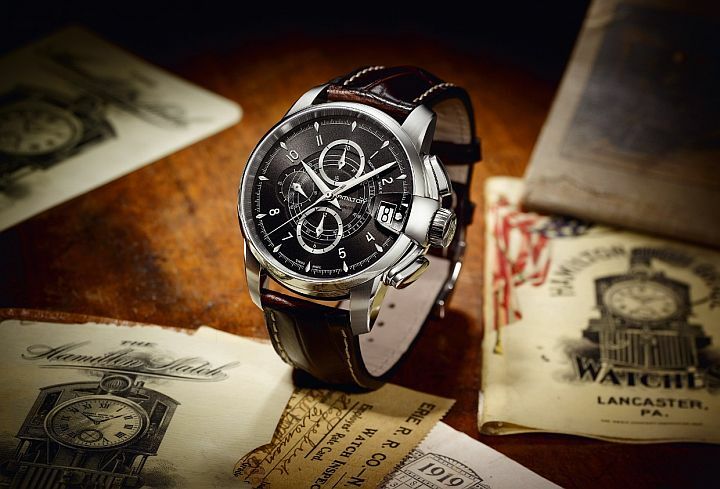 The history of Hamilton watches is quite unique as this company saw its founding in the United States, but currently operates out of Switzerland. The Hamilton watch brand originated in Lancaster, Pennsylvania in 1892 and continued to operate and produce its products in Lancaster for 111 years. In 2003, the Hamilton Watch Company, which became part of the Swatch Group in 1974, moved to Biel, Switzerland. Throughout its lengthy history, Hamilton has produced many different types of creative timepieces, including two innovative and new types of watches. These include the Ventura in 1957, which was the first type of electrical watch which was powered by a battery, and the Pulsar in 1970, which was the first LED digital watch to ever be produced throughout the world. Hamilton has proven throughout the centuries that both its creative craftsmanship and innovative design has led to a successful watchmaking brand and exceptional finished products. Precision Watches & Jewelry in Willow Grove appreciates the many wonderful attributes of the Hamilton watch collections and this is one of the reasons why the store is an authorized retailer of Hamilton watches. 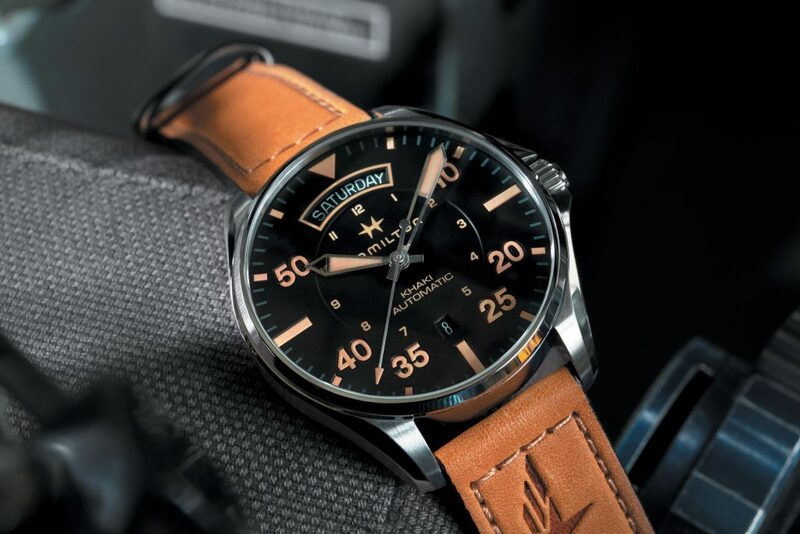 The Willow Grove watch retailer carries a wide array of Hamilton watches, ranging from stylish brown leather band and stainless steel timepieces to watches exuding a sportier vibe. There are many different Hamilton watch collections and watch models from which to choose your ideal style. Some of the Hamilton watches you may want to consider include the Hamilton Jazzmaster Open Heart Auto, Hamilton Jazzmaster Chrono Quartz, Hamilton Khaki Navy Pioneer, Hamilton Khaki Pilot Auto, Hamilton Pan Europ Auto, Hamilton Spirit of Liberty Auto and Hamilton Valiant Auto, to name a few of the popular Hamilton watch models. Hamilton watches are highly-applauded for their individual, enthralling attributes, such as the lovely dial colors, water-resistant qualities, beautifully crafted watchbands and extra facets and features which wearers love about their Hamilton watch. The specific features will vary by model, but all Hamilton watches offer exquisite qualities all around. Ready to purchase a Hamilton watch in Willow Grove? Visit Precision Watches & Jewelry, an authorized retailer of Hamilton watches, and explore their extensive Hamilton watch collection.